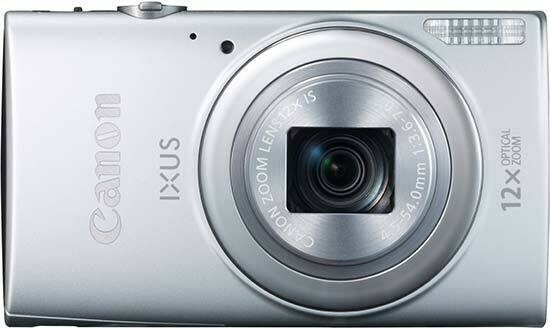 The Canon IXUS 265 HS is a small, slim camera with a versatile zoom that's easy to use and stylish enough to impress your friends, with some unique creative features such as the Hybrid Auto and Creative Shot modes to keep you entertained. The built-in wi-fi also ensures that the Canon IXUS 265 HS will appeal to the smartphone user, although sadly there's no touchscreen interface on this model. Optically the Canon PowerShot SX700 HS is a strong performer thanks to its versatile 12x zoom range and minimal distortion. Image quality is fine in good light, but not so great at higher ISO speeds, with ISO 400 already suffering from obvious noise, smearing of fine detail and colour artifacts. The Canon IXUS 265 HS is a joy to use. It's small and lightweight but has that presence of weight that gives you confidence that it's still in your possession. It's good looking enough to want to get it out at every opportunity when on nights out. There's enough modes and features on it to keep you entertained for hours and it has convenient features on it to help you get your pictures to a safe storage area. We found the menus are a breeze and well lit with contrasting dark grey and bright orange. We only have one small gripe - the battery door is badly made from flimsy plastic and has no lock, a minor criticism maybe, but worth pointing out. For the price, the Canon IXUS 265 HS is a great little camera, despite our reservations about the image quality in low-light. If you're looking for an affordable, accomplished camera from one of the big names, you could do a lot worse than the new Canon IXUS 265 HS.